Technology has changed the way we communicate, shop, socialize, as well as how we learn and teach. To capture the attention of today’s little digital munchkins, schools need to integrate the technology they are growing up with and using daily into the classrooms. Mobile devices can make incredibly engaging and collaborative learning tools in the classroom and the materials can be more interactive and easily updated and customized to each student’s needs. Classroom technology trends change as rapidly as the technology itself. Some arise and burn out quickly, while others like BYOD for example linger for years to come. 2013 was a year full of change for many educational institutions. We helped so many schools integrate more classroom technology than ever with solutions such as BYOD and 1:1. Here are some of the likely trends in 2014. This trend will continue into 2014. It has been commonly forecasted that 2014 will be the year when internet access from mobile devices overtakes people accessing the internet from desktops. Our society is becoming increasingly mobile in everything we do, there’s no denying that. So incorporating mobile learning is unavoidable for schools that want to properly prepare their students for the future. 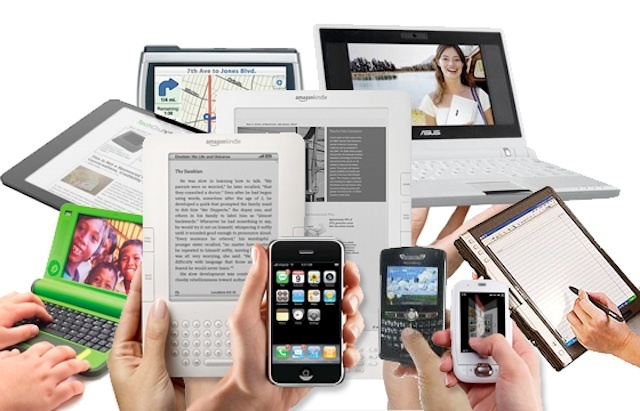 Tablets seem to be surpassing the focus on smartphones and are leading the way into mobile learning now. So in 2014 we will probably see schools integrating the use of tablets, particularly iPads in the classroom, which seems to be the tablet of choice in education. With the integration of new mobile technology in the classroom, more schools will be putting their resources into the cloud. Students and teachers want a way to access classroom information anytime anywhere with their mobile devices, and cloud computing and storage makes that possible. It’s so convenient for both teachers and students, so of course this trend will be a big one for schools in 2014. 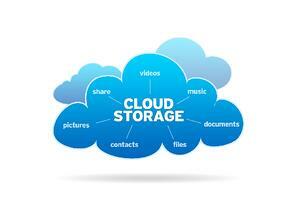 Experts predict that by the end of 2015, the cloud market will be globally worth $180 billion, with 50 million physical servers in the world. BYOD (Bring Your Own Device) has been around for a few years now, but in 2013 it really took off. According to a recent article from EdTech Magazine, 85% of educational institutions now allow students, teachers and faculty to use personal devices on schools with an impressive 44% of K-12 schools allowing students to bring their own devices. With more and more organizations implementing BYOD (it’s been predicted that by 2016, over 40% of the workforce will be mobile), it makes sense for schools to implement BYOD programs. As schools feel increasing pressure to integrate mobile learning for the reasons I mentioned in number 1 above, BYOD continues in popularity as a way for schools to save money when integrating mobile devices. This trend will definitely stick around for 2014, so check out this great BYOD Resource Kit for more information. 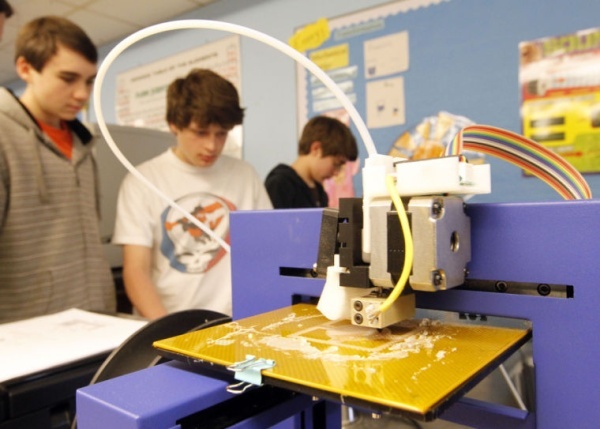 3D printing is a complex emerging technology inaccessible to most children and adults in 2013, but 2014 might just be the year for them in the classroom. There is a lot of buzz about this incredible printer that can make 3 dimensional solid objects. They will make fabulous learning tools for the classroom, allowing educators and students to create whatever they image and design from 3D topographical maps to parts for a robot. According to an article by CNet “MakerBot wants to put a 3D printer in every school in the United States, and it's drumming up support from the industry and general public to make it happen.” Apparently the Orange County Department of Education just couldn’t wait and on a Saturday in December they held a “Build Day”. Eighteen teachers from different schools around the county came together to learn how to build 3D printers for the classroom with the help of Airwolf3D. Don’t be surprised if the oh so sought after 3D printers started popping up in schools all over the country this year. They make incredible learning tools with endless possibilities as to what they can create! Digital textbooks have increasingly become more popular with again, the increasing surge of mobile technology in the classroom. Digital textbooks offer a cheaper, more environmentally friendly, and more portable alternative to the often hefty print textbook. The e-textbook is also more interactive and up-to-date. E-textbooks just make sense, but in the past the biggest challenge in providing them to students is the availability and accessibility mobile devices. As more classrooms integrate devices like iPads in the classroom, which is the trend in 2014, we will see more schools going digital. 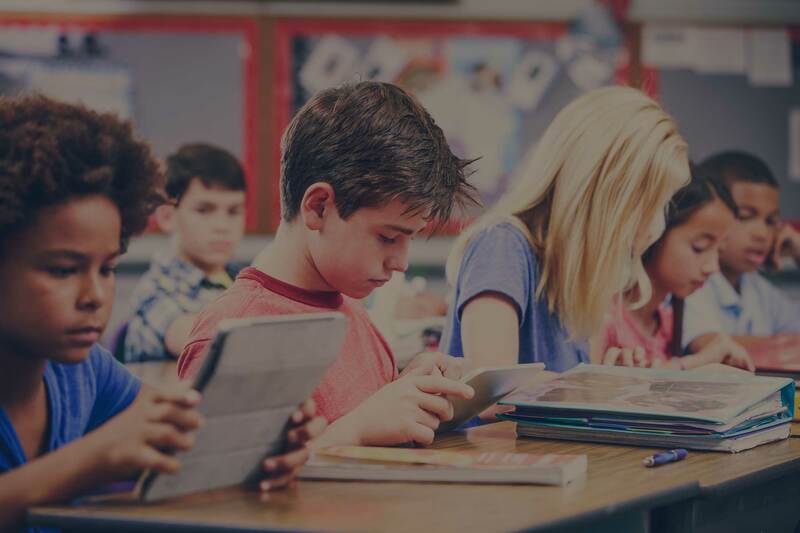 According to a recent survey by Enterasys Secure Networks, 37 percent of K-12 teachers say they plan to transition to only digital textbooks within the next one to five years. Florida public schools are already transitioning and are requiring all Florida public schools to adopt digital-only textbooks by the 2015-16 school year. 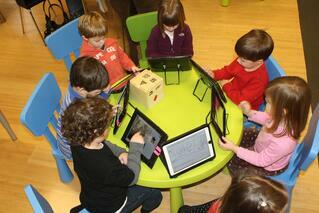 Apple’s iPad will continue to be a hot commodity in 2014 outside of and inside of the classroom. Tablets are such popular learning tools right now and the iPad seems to be the most sought after in education. In fact, Apple announced that its share of the education tablet market reached 94% at the end of its last quarter. In 2013 we saw schools and even school districts large and small bringing iPads in the classroom. By the end of this year Los Angeles School district plans to put an iPad in the hands of every student, that’s 640,000 Apple tablets! The personalized learning and terrific range of learning apps makes the iPad still hot in 2014. For more information about implementing iPads in the classroom check out this free eBook: How to Prepare for iPads in the Classroom. 2014 is going to be an exciting year in education technology. All of these trends require a well-designed and implemented plan, with proper professional development and a robust enough school wireless network to support all this technology. This is where we come in. We have helped schools all over the country bring mobile devices like iPads and integrate BYOD, etc. Contact us here and we will be more than happy to answer any of your questions. Good luck!